Best Combi Boilers 2018 will be a prominent presence in your search history, if of course you’re searching for it in 2018. When your boiler breaks down suddenly, out of the blue, it can come as quite a shock. If you have a premium, high quality boiler installed in your home, they work so efficiently in the background, for so long, that you don’t even know they’re there. We almost take them for granted, only noticing they exist when you hear the sound of them switching on or off. And when it breaks down, it’s like a silent, dependable friend suddenly disappears. Now you are sat on your computer, or with your smartphone, at midnight, wrapped up in a blanket with a hot tea, searching for best combi boilers 2018. We’ve done articles on our website previously which explain what is a combi boiler and how a combi boiler works. Also take a look at our complete guide on condensing combi boilers to learn more. Is it Better to Repair or Replace your Broken Old Combi Boiler? Lot harder to source parts for boiler models older than 10 years. Repair may take longer and be more expensive. The manufacturer may have stopped manufacturing the older boiler model or parts. Older boilers lose energy efficiency over time due to corrosion of internal parts. Low energy efficiency means you may be paying more money on your energy bills. Modern, condensing boilers work at 94% energy efficiency compared to 70% on old non-condensing boilers. Weather compensation and smart controls increase the efficiency even higher. 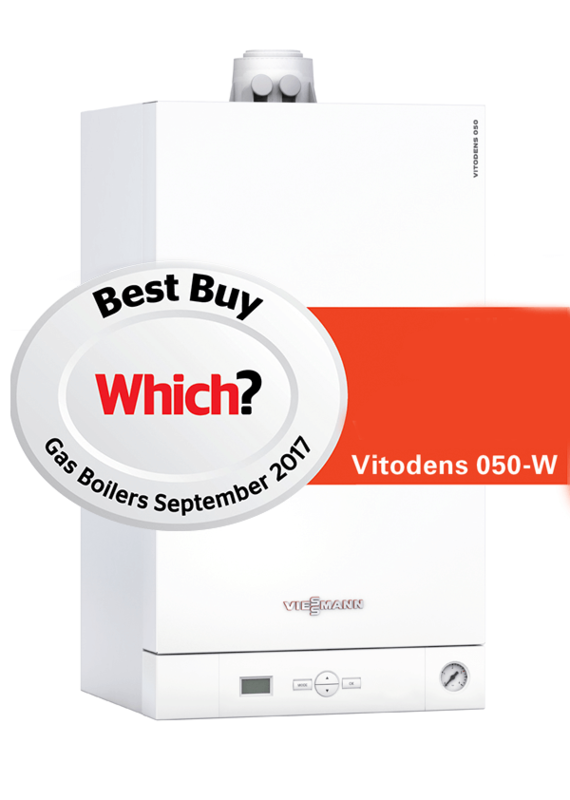 Some premium combi boilers like Viessmann Vitodens 200-W are 98% efficient, and may even get to 100% efficiency. You could save between £300 to £600 on your energy bills with a modern combi boiler. The decision about best combi boilers 2018 for you and your household is not exactly an easy one, as there are a lot of confusing statistics and specifications on the internet. It can be a lot to get your head around, which is why at Boilerhut we have decided to help you out with our guide to best combi boilers 2018 with what we believe are five of the best combi boilers available in the UK market in 2018. Why are Combi Boilers so popular? Cheaper than Open Vent or System Boilers. Space saving: no need for attic tanks or hot water cylinders. Ease of installation; easy to set up for the installer. Compact Dimensions; some models may even fit inside a kitchen cabinet. They may be more energy efficient in some cases. Best Combi Boilers 2018 are also, crucially, very compact. Which is why they are perfect for smaller homes. It is estimated that when you choose a modern energy-efficient combination boiler, that you could save around £350 every year on your utility bills. However, it is always important to choose the right boiler type for your requirements and the size of your home. Combi boilers are all-in-one appliances that not only provide you with central heating, but also on-demand hot water. How do you choose from all the boilers and manufacturers out there? We are here to help with our guide to five of the Best Combi Boilers 2018 and our top choice from that five. Viessmann’s entire range of best combi boilers 2018 carry this impressive piece of kit inside them. Not only is it patented, but it is also manufactured in-house by Viessmann, which helps them keep their price in a competitive range as well. All other boiler manufacturers, including Worcester Bosch carry an aluminium heat exchanger, some of them sourced by a third party manufacturer to cut costs. Stainless steel is highly corrosion resistant, especially Inox which is the highest grade of stainless steel. Stainless Steel is also highly efficient, and doesn’t lose efficiency over time, unlike aluminium. Because of the radial design, there’s less chances of debris and sludge blocking it. 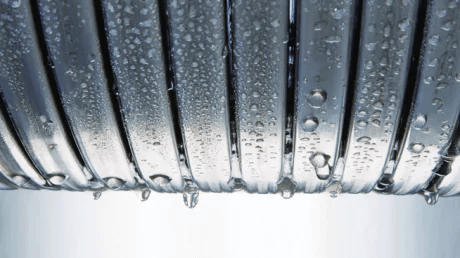 All of this means that Viessmann’s stainless steel heat exchanger, which withstands incredible amounts of thermal and mechanical stress on a daily basis, especially winters, will run longer without corroding and maintain efficiency for longer. Which is why Viessmann feels comfortable giving a no-quibble 10 years warranty on their heat exchanger on all their best combi boilers 2018. Because of this, installation of a Viessmann boiler is faster, simpler and more cost-effective and long runs of additional piping are no longer required. This saves you time and money. Built in safety device meaning no discharge pipe for DHW cylinder is required. No exterior PRV drip/stain as it feeds into a single cold water pipe. One less pipe to penetrate the building fabric. If you’ve ever had a water hammer problem, you know why this is important. If you’ve never had a water hammer problem, feel grateful and say thanks to the universe today. The best way to explain it would be someone banging on your water pipes with a spanner every time you open a water tap. That’s especially endearing if someone in your house does that at 6 am. It can be so loud that even your neighbors can hear it. Viessmann have thought about this as well, as the Composite Hydroblock in the Vitodens series incorporates a shock arrester. Also, no extra expansion vessel is required. Very easy to understand and use digital control panel and an LCD screen. Robust and durable design and construction. Stainless steel and highly efficient cylinder burner. Easy to install and service/maintain. At Boilerhut, because of the reasons listed above, we feel Viessmann are a wise choice above more well-known brands like Worcester Bosch and Vaillant. If you are looking at best combi boilers 2018 lists online, and want to invest in a Viessmann boiler, we will be able to help with the installation as we are Premium Viessmann Installers, and have experience working with those types of boilers in particular. Generally speaking, Worcester-Bosch boilers are probably one of the most popular boiler brands in the UK, mostly because of the “Worcester” name, which carries with it a sense of national pride. Even if they are wholly owned by the Germany company Bosch. Anyway, that doesn’t take away from the fact that they make high efficiency, highly reliable, excellent boilers. And you really can’t go wrong with buying one. 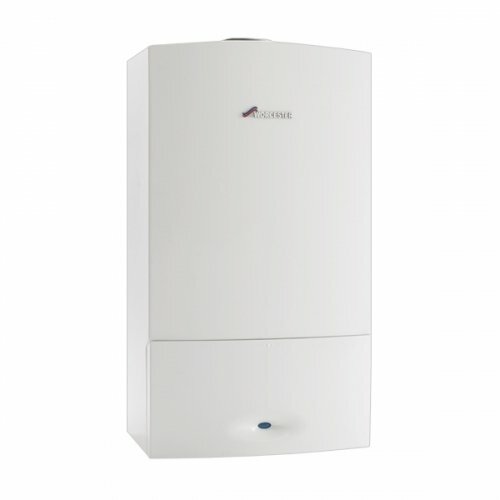 The Worcester-Bosch 32CDi is the most popular boiler from their line. It is not hard to see why people fall in love with Worcester-Bosch products so easily. They are clever when it comes to the construction, as this is a very compact boiler. But they are also good at manufacturing durable internal components too. The 32CDi has a 5 year guarantee, and can be extended to 10 years. Their boilers have temperature control that is easy to function and has been designed to offer compatibility with a wide array of digital and wireless heating controls. 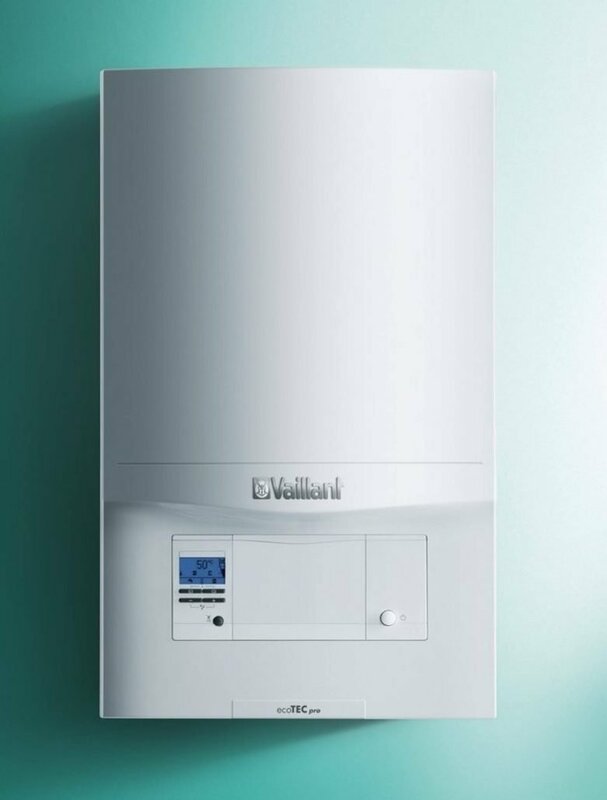 Vaillant’s range of available boilers has improved and expanded incredibly over the years. They start from 24kW and increase to 37kW. It should go without saying that the size of boiler you choose is directly related to the size of your home and the demand for hot water in your family or whoever lives with you. Some of the key features of this Vaillant boiler include its very compact size, the clear LED display screen, and a wide range of intelligent controls from Vaillant. Although they took a little longer than other brands to develop a trusted relationship with customers, they have come along leaps and bounds over the years and are one of the go-to choices for many in this country. 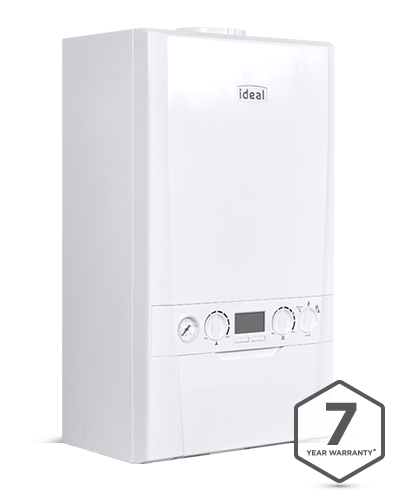 There are a range of boilers from Ideal, starting from 24kW and increasing all the way up to 35kW. The 24kW model features, among other things, an 8 year guarantee as standard, 5 inch colour display LCD for easy monitoring and a highly efficient stainless steel heat exchanger. There is also frost protection, to ensure this boiler works properly the whole year round. 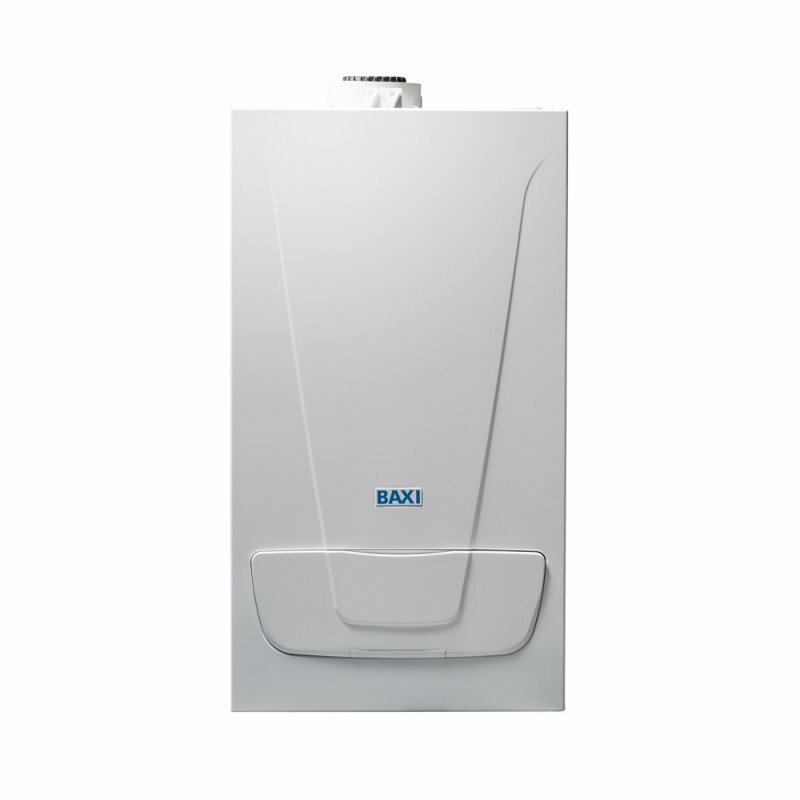 Baxi are an incredibly popular brand of boiler and it is not hard to see why, as they have around 150 years of experience in the central heating and boiler industry. Right now, the Baxi EcoBlue+ is their top seller. An incredibly compact boiler, it will fit inside most cupboards, giving you a more versatile range of options for where you have it installed. It comes with a standard 7 year guarantee and features, among other things, a wireless mechanical RF thermostat, wired weather sensor and digital timer. Baxi are renowned for being easy to maintain and look after and fairly cheap when it comes to Best Combi Boilers 2018. However, there have been complaints of unreliability, leaks and other faults.